Day three and games were beginning to have a lot more meaning, Group A of the under 8’s saw Ruiz Football Academy take down Soccer De Brazil yellow to secure their qualification in their game as top of the group, With Soccer De Brazil already qualified seeing Brunswick Greens and Ballarat Blue eliminated from the competition with a game still to play. Group B saw 7 Stars Football take two from two to remain undefeated and on top with fifteen points, Closely followed by Adelaide Futsal Club and Red Devils who both sat second and third just three points behind the leaders. Brisbane Elitefoot Futsal again failed to fire after their day one heroics and sat in fourth place With Mt Evelyn Lions, Ballarat Yellow and Soccer De Brazil Blue all eliminated with games still to play. Group A saw Brisbane Elitefoot Futsal Black continue their dominance remaining undefeated on fifteen points, While Melbourne Dragons sat second having only suffered one defeat to Brisbane on twelve points. Metro Stars are in third on ten points with Argentina Juniors, Melbourne United, Brunswick Lions & Brunswick Tigers unable to make it out of the group. Group B had Brisbane Elitefoot Futsal Gold joint top with Adelaide Magic on fifteen points with the Mt Evelyn Lions in third on nine, Brunswick Whites, Thomastown Hearts, Ballarat Blue and Moreland Zebras all knocked out of the tournament with one game to play before finals. Group C was the tightest of the lot with North West Heart leading the way on sixteen points closely followed by Essendon Stars on fifteen points in second. 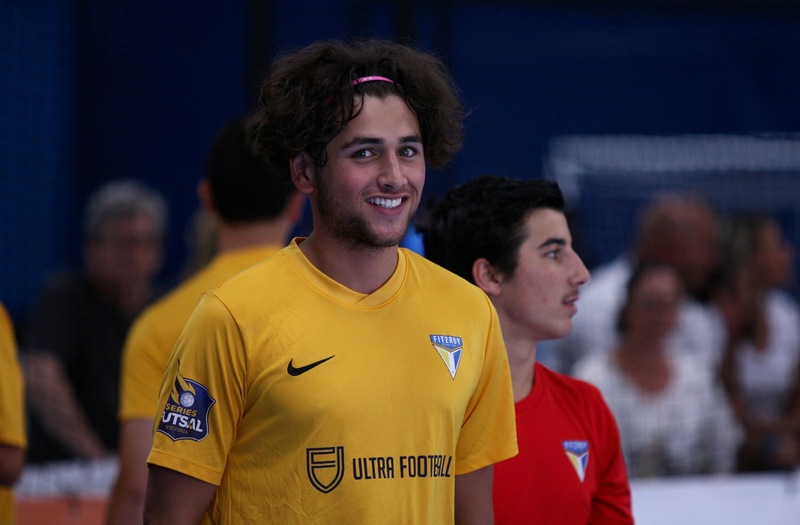 Canberra and Melbourne Futsal Club were in third and fourth on twelve points, while 7 Stars Futbol were on ten in fifth place. Ballarat Yellow, Mt Evelyn Tigers & Freelance Futsal all saw their campaigns come to an end with a game to play. Group A in the under 12’s had already been decided with the top two simply needing to sort out their position as Adelaide Futsal Club and Thomastown Lions sat on top with fifteen points each and undefeated going into their blockbuster clash tomorrow. Green Buffaloes looked the best placed side to take third place as well as North Coast NSW in with a slim chance at qualifying. North West Heart, Just Futsal and Brunswick Blues all eliminated from the competition. Group B was still up for grabs with Cambio Cumbre leading the way on sixteen points, The Wanderers not far behind on fifteen. Brisbane Elitefoot Futsal in third on twelve all getting out of the group. Mt Evelyn Lions, Soccer De Brazil, Adelaide Futsal Club, Brunswick Pumas & Ballarat all unable to get out of the group. The under 14’s was all but decided with Parramatta taking maximum points from the day set to take on Heidelberg in fourth place, Fitzroy and North Coast sit in second and third with the pair set to face off tomorrow but will play each other in a semi final regardless of the result. Red Devils in fifth stand a chance to jump Heidelberg and earn a semi final birth but it will depend on results. Carlton Heart, Monbulk & Freelance Futsal all saw their chances of qualification ended. Group A of the under 21’s saw Fitzroy continue to lead the way remaining undefeated on sixteen points, Adelaide Fusion close behind in second place on fifteen with the pair already qualified it will come down to what order they will finish. Carlton Heart sit in third on nine points, eliminated in what is a disappointing campaign for the club who could have achieved a lot more. Ballarat and Adelaide Hurricanes round out the group also with no chance at a semi finals birth. Group B saw Hume leading the way on eighteen points, though Vic Friendship in second a real chance to overtake their rivals depending on results as they sit on twelve with a game in hand on their opponents. Pascoe Vale sat in third with a very slim chance to qualify, as Metropolitan and Freelance see disappointing campaigns come to an end with games still to play.